Dryzip offers easy access using a YKK® 100% waterproof zipper. 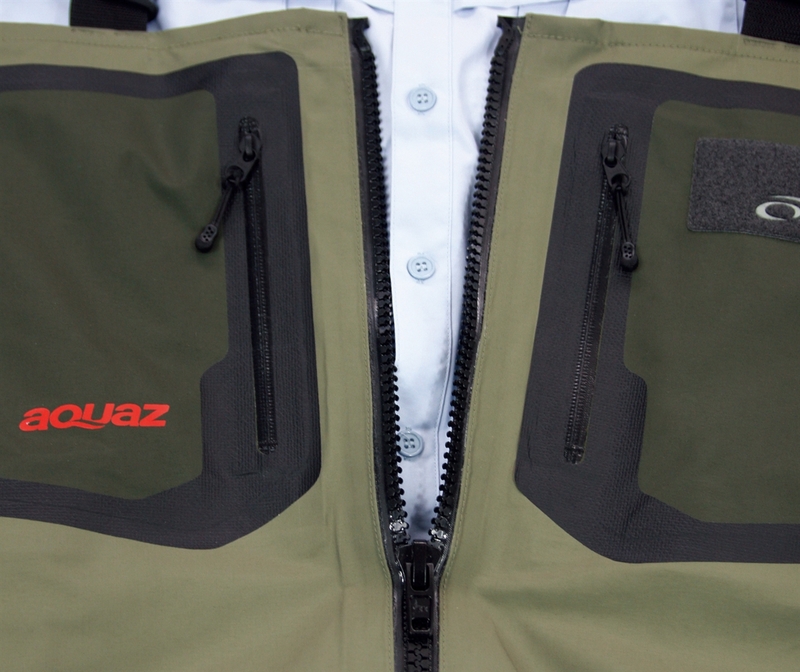 This wader is an updated version for 2014/2015, more comfortable version of the waterproof zipper wader first developed by AQUAZ™ over 10 years ago. The Dryzip features 2 water-tight front chest pockets and 2 side hand warmer pockets with 4mm high density neoprene stocking feet. 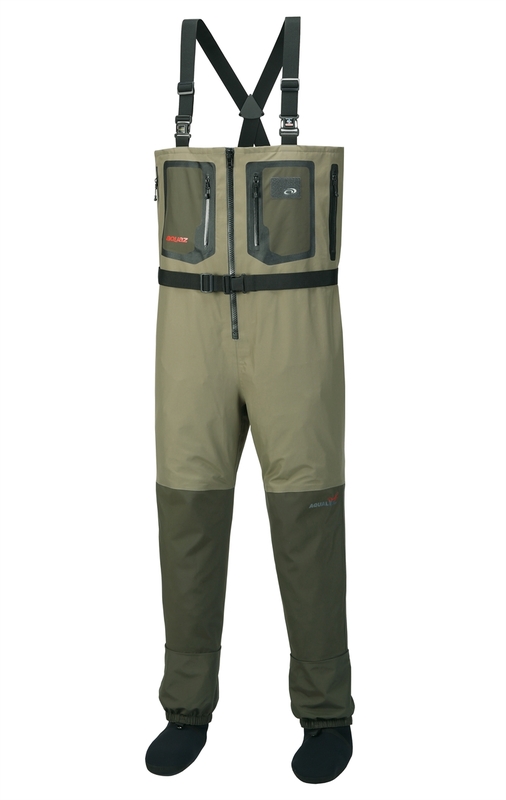 The legs have 5 layer fabric of AQUALEX® Duratek™ to make the wader stronger and more durable while upper body has light and durable 4 layer of AQUALEX® Megaflow™.